We are going to describe another natural remedy to kill soil gnats, which is mainly in larval stage and eggs. The method is very simple in addition to some precaution to increase efficiency level. Hydrogen peroxide is the simplest peroxide (a compound with an oxygen-oxygen bond) and finds use as a strong oxidizer, bleaching agent and disinfectant. Concentrated hydrogen peroxide, or ‘high-test peroxide’, is a reactive oxygen species and has been used as a propellant in rocketry. Still do not know what fungus gnat looks like? Moreover, Hydrogen peroxide is a simple home remedy to kill nats larvae and destroy knats eggs in seconds, hydrogen peroxide has a powerful effervescence which is a results of chemical reaction with the soil components including gnats stages. How to get rid of soil fungus gnats the right way? Once the soil is dry, mix 1 part hydrogen peroxide (H2O2) solution with 4 parts water. Use 3% solution, which you can find in any drug store or in the hygiene/medicine aisle of a chain grocery store. You can use a stronger solution if you change the water mixture appropriately, and don’t be too concerned with proportions; it would take a very high concentration of H2O2 to hurt your plants. Water your plants as you normally would, using the hydrogen peroxide solution and taking care to get good coverage of the entire top layer of soil. Use a spray bottle if desired. The soil will fizz for a few minutes after application; this is natural. The gnat larvae die on contact with the H2O2. After a few minutes the fizzing stops and the H2O2 breaks down into oxygen molecules (which your plants don’t mind) and water molecules (which your plants love). Congratulations! You’ve just successfully treated your fungus gnat infestation. Monitor the gnat population for a few days with sticky cards, in order to make sure you’ve got them all. Make sure not to overwater, and consider sometimes adding a little hydrogen peroxide to your daily waterings–in my experience, the plants react well to this little treat. Watch your plants grow big and strong and enjoy the fruits of your labors, whether they be flowers, vegetables, literal fruits, or big sticky nugs of homegrown chronic. Another natural methods including fungus gnat predators, traps, and bacillus, nevertheless when you can’t find bacillus thuringiensis or SM-90, you can start trying fungus nat treatment with hydrogen peroxide to kill gnat larvae and eggs in soil, just by use 1 part 3% pure hydrogen peroxide to 4 parts water – another type of brute force attack to kill larvae directly. Is fungus knat control well using Hydrogen peroxide? Upon entering the water of oxygen to the soil effervescence happens and separated into two parts: part water and part oxygen, oxygen into the soil is not desirable and may kill the plant inside the the planting pot, so you should avoid adding a larger than recommended quantities. Just make sure you buy pure H2O2 with no chemical additives! Hydrogen peroxide is often sold as a topical disinfectant, and things that are good for your wounds may not be so healthy for your plants. Water oxygen has a strong effect on the skin openings .. So beware of water oxygen bring any wound in your body. You must add appropriate quantities into soil to kill insects with dilution by water or without water. Thanks a ton dear for sharing all these tips! 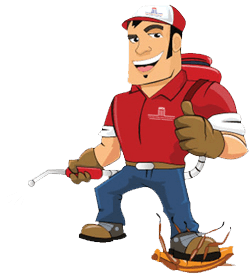 Anyway, I don’t need to do all this as I am using the professional services of Termite inspection Port Macquarie company. My home is secure from pests. Oh great, would you please share Termite inspection Port Macquarie company phone number and location? Do they have any promotion when you post their ad here and there? Thank you for the tip! I have an avocado plant that has been infested for 6 months. I tried putting 1 inch of sand and 1 inch of gravel on top of the soil and the buggers still survived! I even have stopped watering it from the top and only water ever other month, still they lived! So I tried this today and all the big ones have died, so I will cross my fingers that this will be the end of these pests! I really want to keep my plants and was considering throwing them all out, so you saved some plant lives…. Thanks again! I’ve followed this, but I didn’t actually dilute the hydrogen peroxide. I was just so fed up with these little pests, I didn’t care if I killed my plant or not, so I reached for the hydrogen peroxide and I poured it straight on my Pothos plant. After the first application, the gnats were reduced to just a few adults that were seen buzzing around the plant. I waited a week, then applied some more, making sure to wet the entire top part of the soil with straight hydrogen peroxide. I haven’t seen a single gnat since. My plant is growing nice and healthy and not a gnat in sight for over a year. If you have a number of indoor plants, you’ll need to treat them all at the same time, because the survivors will go from the treated pot to an untreated one and start their life cycle over again. Anyway, this method really works like a miracle. Thanks for the post! Anyway – great success … please share this site on facebook or elsewhere. I have a very large cactus that is to big to move, I am going to treat Gram Farrar’s Cactus today. She is 36 years old and flowering beautifully. Thank you so much for the tip! I have 11 orchids and they are all infested with these annoying flies. I usually water my orchids every 10 days by soaking them for 10 minutes in a tub of water. Would this method work for me? I usually use 3 gallons of water. How much peroxide should i use and is it safe for my plants to stay in this solution for 10 minutes?….I have changed the barks in all of my pots 3 weeks ago but the flies are back again. Thanks again for your help. Hi, can you explain why the soil needs to be dry before using the solution? I watered my plant not that long ago before finding this idea, and the leaves are falling off every day. I’d like to do it before it needs water again. I just attempted this. I have many plants.. like 30 of them on a really long shelf. So I obviously have to treat them all same day and what not. I truly hope this works bc I’ve even repotted all of them and didn’t water them for about 3 weeks (mostly succulents so they survived). And I love my plants so much, but if this doesn’t work I might have to get rid of them or something. It’ll break my heart. After months of trying every remedy going – a combination of the hydrogen peroxide treatment and letting the plant dry out between watering worked a treat! Finally my kitchen is free from little flying gnats! Experencing crawling on my hair, sometimes biting me, suffering with this problem for about 3 years now, they are so small, can’t see them , seem. Like I am being attacked. And fed up. May God help us all. Hi there this comment is for Mary D. It sounds like you have mites. I was dealing with this too but it is a super easy way to fix it. Mites only like you if you have a certain PH so all you have to do is change your PH. Drink a glass or two of water every day with a tablespoon of Apple cider vinegar. You have to be consistent no days off. It may take some time to work but it will. In the meantime put some teatree oil in your shampoo bottle. That will give instant relief. You have drain flies! My daughter had that problem. Wasn’t solved until my husband yanked out the tub in her bathroom and found the iron drain pipes had totally rusted out and the tub was not on a concrete slab-was dirt underneath. The water on the earth was what the flies needed to multiply. New pipes and concrete under the tub solved the problem. Somewhere you have a break in your pipes in the ground where the flies are coming from. If landlord won’t address the problem maybe health department will tell you if there is a way to force the landlord to act. Never mix bleach with anything else!! Going to use peroxide and sticky tape, for the entertainment factor of seeing dead flies. But what about my seed starting for my greenhouse from my sunroom? They will eat my seedlings? Does h2o2 treatment also work for springtails?! I have a severe infestation of springtails in a hydroponic system and using a .75% solution (1 part 3% h202 to 3 parts h20) does not have an affect on them. What would be the strongest h2o2 solution that you could use without harming the roots of a medical cannabis plant? I have a 34% technical grade h2o2 so would just need to dilute that down to the appropriate strength… Thanks! Thank you I am giving this a try tonight !! Hopefully it works I can’t seem to get rid of these buggers any other way. Trying this and the potato method.